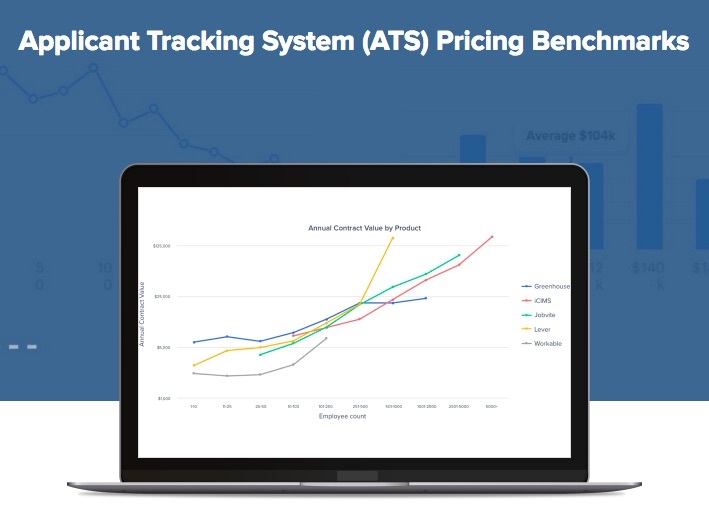 Applicant Tracking System pricing can range from free (for small startups) to $1 million+ per year for enterprises with tends of thousands of employees. Bottom line: An ATS can be a significant investment as your business gros. But ATS pricing info is often elusive. Note: There are plenty of ATS’s that are cheaper than $3K per year and more expensive than $140K per year, but Siftery’s range does ring true with what we hear for the majority of ATS pricing quotes. Greenhouse Software pricing ranges from around $6,000 (for a couple of dozen employees) to $25,000 per year for the clients they surveyed. Note: the largest Greenhouse customer they surveyed was in the 1,000 to 2,500 employee range and since Greenhouse is landing customers with 10,000+ employees, it’s fair to assume that Greenhouse pricing for larger enterprises well exceeds $25K per year. iCims pricing ranges from $6,000 per year (51 to 100 employees) to $140,000 (5,000+ employees). Note: iCIMS also charges “connector fees” to add 3rd party integration partners (for things like video interviewing, skills tests, credit check, etc.) — these seem in the hundreds of dollars to $1,000+ per month range. Recruitee pricing begins at $19 per month (for 1 active job to $199 per month for 20 jobs. SmartRecruiters pricing starts at $395 per month (Update: In September 2017, SmartRecruiters began offering a free ATS called SmartStart (it’s free for up to 10 active jobs at any point in time). Greenhouse Software pricing starts at $6,600 per year. Taleo may be the #1 ATS in market share but there is relatively little Taleo pricing information publicly available. *Note: The Google Hire web site originally said it will serve employers with up to 1,000 employees though no pricing was available for volume above 250 employees. The rest of the Google Hire pricing are just estimates and higher volume deals would likely merit discounts. Highlights of that thread point to the first 4 different ATS pricing models out there below. And then Capterra adds a fifth pricing model (“Flat Monthly or Annual Rate”) in its nice summary of Applicant Tracking Software pricing models. And if you’re a startup company looking for a new ATS system, there are ATS solutions that are free to use beyond just a trial. iKrut ATS – They have a free version of their ATS that offers a stripped-down ATS for free (has a dozen of the 30+ features of the paid versions) for unlimited job volume and users. If you want the other features there are premium versions to buy through some “vacancy credit purchase” program. OpenCats – Free, open-source applicant tracking system. Fitzii – A free applicant tracking system for small businesses; they have extra paid offerings and add-ons. BreezyHR allows you to use their ATS free for just one job and has different levels up to $149 for 15 jobs. Zoho – They offer a Free ATS for up to one recruiter (the next tier up is $25 per recruiter/month and $50 per recruiter/month for the next tier up). Qandidate.com — Their home page claims they are a free applicant tracking system with 10,000 customers (though they are still in beta). We found one review site that said they make their money by offering employers in-app job postings (similar to what Jobscore has been doing for awhile). MightyRecruiter.com — In September, 2017 they put out a press release stating that they would be a free ATS (unlimited open jobs, resume searching and user accounts). SmartRecruiters — In September 2017, they began offering a free ATS called SmartStart (it’s free for up to 10 active jobs at any point in time). What’s been your experience with ATS pricing?